Frederick B. Skillern, Esq. has spent over 30 years engaged in most aspects of the real estate field. He has assisted clients in a wide range of transactions and tried dozens of cases to verdict, both simple and complex. While actively practicing he has repeatedly been engaged as an expert witness, a mediator and an arbitrator. He shares a passion for both the intricacies of real estate law and helping people solve problems. Fred is a past chair (2005-2006) of the Colorado Bar Association’s Real Estate Section Council, and has presented his “case law update” to the real estate bar at the annual CBA CLE Real Estate Symposium since 1998. In addition, Mr. Skillern is a former district court judge in Colorado’s 18th Judicial District. 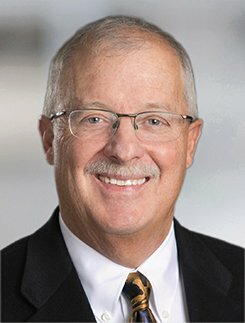 Mr. Skillern believes a mediator with deep knowledge of the context in which the litigants live and work can help the parties bridge the gap and reach agreement – “speaking their language” can really help identify the complex set of interests and emotions involved in a given dispute. Mr. Skillern completed mediation training in 2008 at the Harvard Law School’s Negotiation Institute, and has had success since 2008 in serving as a mediator as a part of his private practice. He looks forward to focusing on mediation and arbitration exclusively with his new association with JAMS. As a lawyer working in real estate litigation, Mr. Skillern has led clients into more than 100 formal mediation sessions since 1985. Mr. Skillern has been engaged as an expert witness in more than 80 cases over the past ten years, on a wide range of real estate issues. He has testified as an expert witness in courts across Colorado, on issues ranging from real estate and title industry practices to professional liability claims against industry professionals. Author and contributing editor on the chapters on the law of Future Interests (Chapter 72) and Civil Judgment Execution Sales (Chapter 40) in West’s COLORADO METHODS OF PRACTICE. Author of a chapter on Judicial Foreclosures in the 201 7 edition of Colorado Real Estate Practice (CLE of Colorado, Inc.). Adjunct Professor, University of Denver’s Sturm College of Law, teaching a class in real estate titles and finance since 2006. Service as a court-appointed commissioner for partition ofreal property, under C.R.S. section 38-28-105. Service as chairman of commissions determining value in condemnation cases in Arapahoe County. Served as arbitrator by agreement of counsel. District Judge, Colorado’s 18th Judicial District, 2000-2002. Presided over more than 60 jury trials. 2014 Marsh CLE Award of Excellence, given by the Colorado Bar Association in recognition of Mr. Skillern’s teaching and leadership in continuing legal education programs for real estate attorneys over a twenty-year period. Colorado Bar Association’s Real Estate Section Council from 1998-2006, and Chair of the Real Estate Section in 2005-2006. In this capacity, served as joint or lead author of successful amendments to a variety of real estate statutes dealing with foreclosures, the Colorado common interest ownership act, and the statutory rule against perpetuities. Service on the Colorado Supreme Court’s Committee on Rules of Civil Procedure from 1987 to 2016, and lead author of changes to the rules on receiverships, foreclosures, applications for attorney fee awards, and appointment of receivers. Colorado Super Lawyer Designation every year from 2006 to 2017.